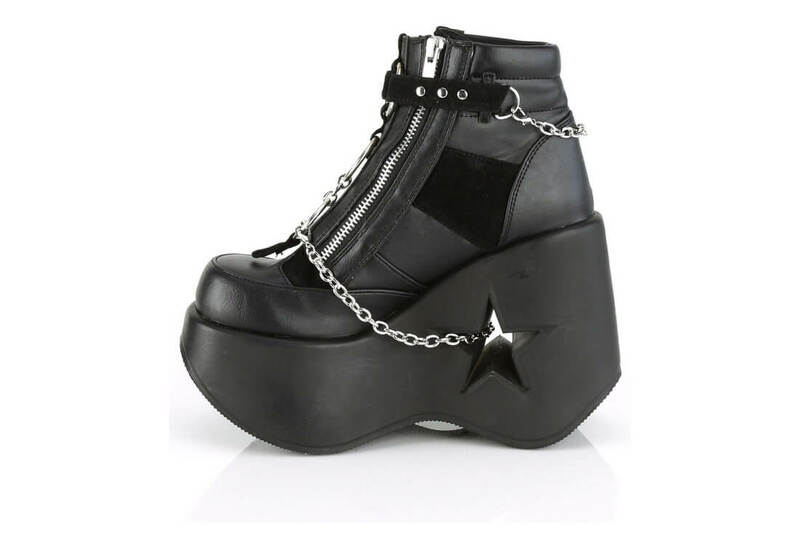 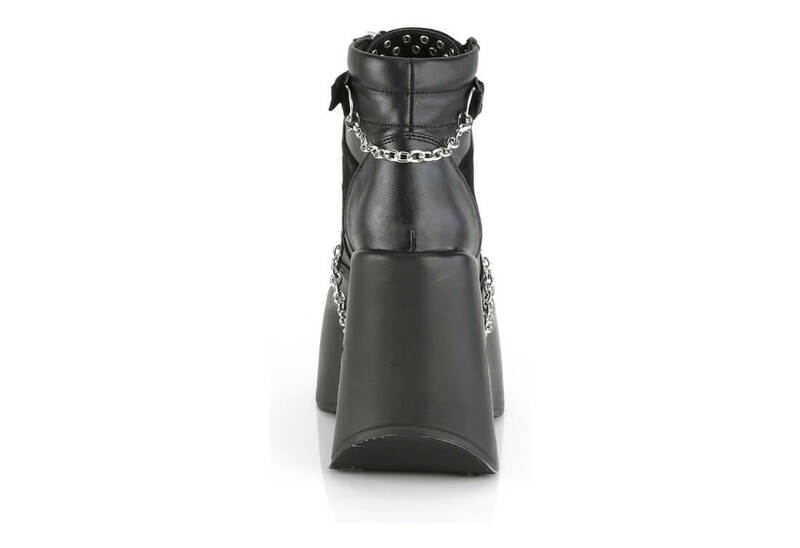 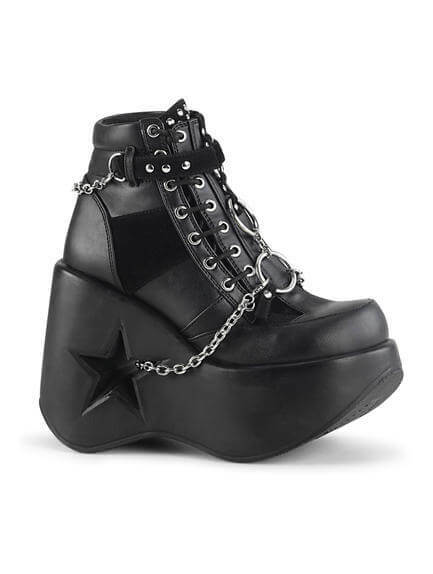 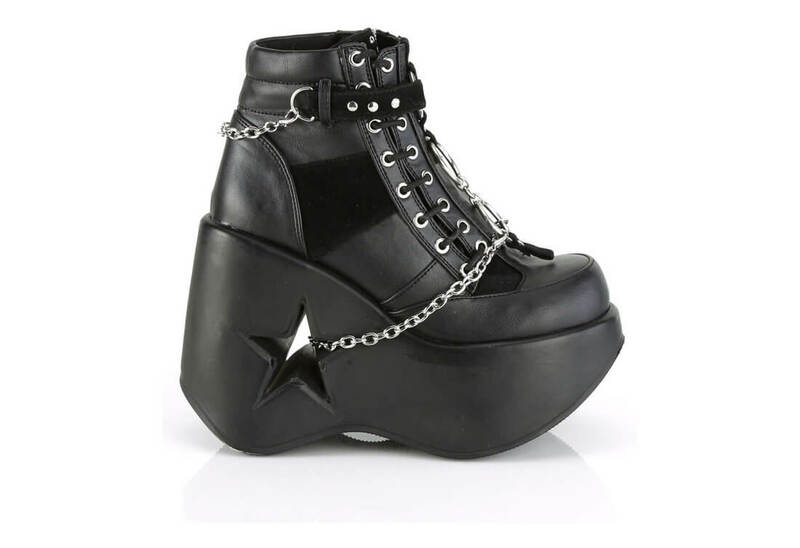 Walk tall with these super cute 5 inch star cutout platform wedge boots. 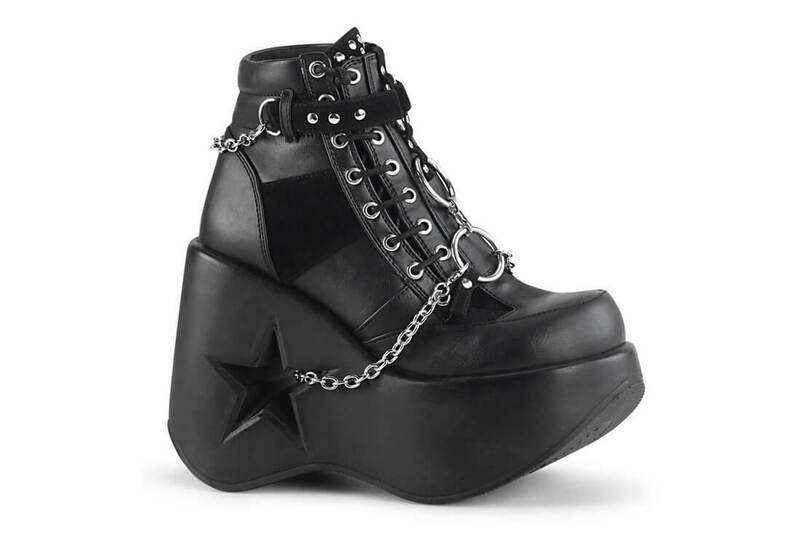 The Dynamite features a center O-ring with studded hook n' loop straps and chains on the heel and trough the cutout in the platform. 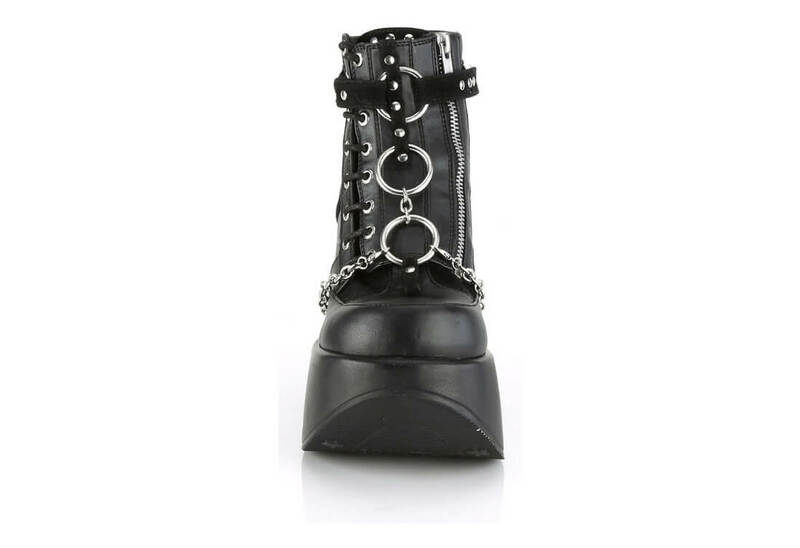 These side lace boots also have a inner size zipper for easy on and off.